The Aerospace Education Services Project, or AESP, is presenting a free webcast on Aug. 31, 2010, at 4 p.m. EDT. Teachers of grades 5-8 are invited to take a learning tour of the solar system in this hour-long inquiry-based professional development webcast. The webcast will show teachers how to use NASA missions and curriculum support materials in the classroom. Participants will develop a better understanding about Earth’s neighbors in space and their relationship to Earth. For more information and to view the webcast, visit http://neon.psu.edu/31Aug2010/. As you get ready for the new school year, consider adding a little space to your class. Current Opportunities for Students and Educators. National Space Grant College and Fellowship Program. Go Backstage With NASA Education. Easy Ways to Obtain NASA Educational Materials. NASA’s Educator Resource Center Network. Central Operation of Resources for Educators. Link to the NASA Explorer Schools Virtual Campus home page. NASA’s Desert RATS, or Research and Technology Studies, will make its 13th trip to the desert this fall for another round of analog testing. The Desert RATS tests offer a chance for a NASA-led team of engineers, astronauts and scientists from across the country to come together to conduct technology-development research in the Arizona desert. The location offers a good stand in for destinations for future planetary exploration missions. This year’s mission includes a variety of activities geared to inspire students to become space explorers and NASA’s future workforce. On Sept. 1, 2010, at 9:45 a.m. PDT, a 30-minute webcast will highlight the upcoming Desert RATS activities as they kick off the two-week testing period. Students can submit questions to be answered live by actual engineers and scientists that created, built and are testing all of the amazing tools, vehicles and technology. 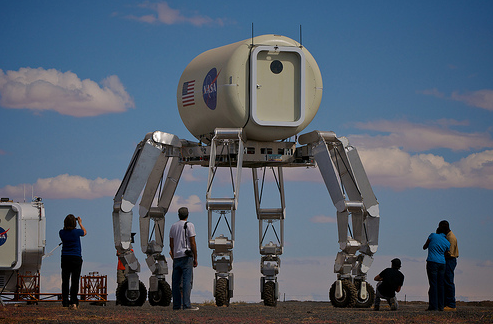 Questions for the NASA field test team can be submitted at www.arizonadesertrats.com. For more information about Desert RATS visit https://www.nasa.gov/exploration/analogs/desert_rats.html. Teams of up to six students design a water recycling system for the unique environment of the moon. Teams then test their system on a simulated wastewater stream. Proposals and results are due Feb. 28, 2011. 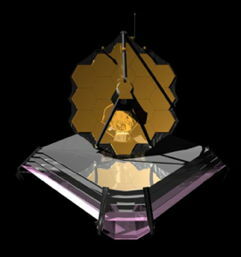 Questions about the challenge should be directed to Jay Garland at jay.l.garland@nasa.gov. NASAExplorerSchools provides free teaching and learning resources that promote student engagement in science, technology, engineering and mathematics. It provides opportunities for teachers and students to participate in NASA’s mission of research and discovery through inquiry-based experiences directly related to the work of NASA scientists and engineers. If you work in an accredited K-12 education institution in the U.S. or U.S. territory and want to be a part of the NASAExplorerSchools project, sign-up for an orientation session. You will be contacted for orientation prior to the start date scheduled for mid-September. Link to orientation sign-up page. For more information visit the NES Virtual Campus home page. If you work in an accredited K-12 education institution in the U.S. or U.S. territory and want to be a part of the NASAExplorerSchools project, sign-up for an orientation session. You will be contacted for orientation prior to the start date scheduled for the first week of September. 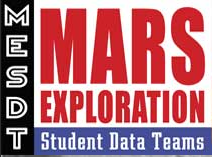 Student Opportunity: Mars Exploration Student Data Teams Program for Students in Grades 9 through undergraduate. Have you ever wanted your students to gain real-world science experiences, but you aren’t sure where to go? Then check out the Mars Exploration Student Data Teams, or MESDT, program offered by NASA, Arizona State University’s Mars Education Program, and the Mars Reconnaissance Orbiter. In this free program, student teams work with scientists, mission planners and educators on the CRISM (Compact Reconnaissance Imaging Spectrometer for Mars) team at Johns Hopkins University’s Applied Physics Laboratory (http://crism.jhuapl.edu/). The teams research images of Mars using the CRISM instrument, which is currently aboard MRO. CRISM’s primary mission is to search for mineral traces of ancient water as the spectrometer images the planet in up to 544 wavelengths of light. Student teams are not required to have extensive knowledge of geology, or even Mars, to participate! Students work with real data from the CRISM instrument to assist with future mission landing sites, to find mineral traces associated with certain surface features, and even to submit targeted observations of the surface of Mars! Visit http://mesdt.asu.edu for more information. The show begins at sundown, August 12, when Venus, Saturn, Mars and the crescent Moon pop out of the western twilight in tight conjunction. All four heavenly objects will fit within a circle about 10 degrees in diameter, beaming together through the dusky colors of sunset. No telescope is required to enjoy this naked-eye event. The planets will hang together in the western sky until 10 pm or so. When they leave, following the sun below the horizon, you should stay, because that is when the Perseid meteor shower begins. From 10 pm until dawn, meteors will flit across the starry sky in a display that’s even more exciting than a planetary get-together. 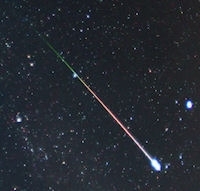 The Perseid meteor shower is caused by debris from Comet Swift-Tuttle. Every 133 years the huge comet swings through the inner solar system and leaves behind a trail of dust and gravel. When Earth passes through the debris, specks of comet-stuff hit the atmosphere at 140,000 mph and disintegrate in flashes of light. These meteors are called Perseids because they fly out of the constellation Perseus. For best results, get away from city lights. The darkness of the countryside multiplies the visible meteor rate 3- to 10-fold. A good dark sky will even improve the planetary alignment, allowing faint Mars and Saturn to make their full contribution to the display. Many families plan camping trips to coincide with the Perseids. The Milky Way arching over a mountain campground provides the perfect backdrop for a meteor shower. The RealWorld-InWorld NASA Engineering Design Challenge invites high school students to work cooperatively as engineers and scientists to solve real-world problems related to the James Webb Space Telescope. In Phase 1 of this education initiative, students explore and design solutions to two real-world problems related to the James Webb Space Telescope. For this phase, participants work in teams of three-to-five students. Final RealWorld project solutions from this first phase of the challenge are due on Dec. 15, 2010. Teams who complete Phase 1 are then paired with participating college engineering students to begin Phase 2, the InWorld phase of the challenge. Working in a virtual world setting, each newly formed InWorld team uses 21st-century tools to refine designs and create 3-D models of the Webb telescope. For more information about the challenge, visit https://www.nasarealworldinworld.org/. Questions about this opportunity should be directed to RWIW@nianet.org. The Cassini Scientist for a Day contest challenges students to become NASA scientists studying Saturn. Participants examine three possible observations taken by Cassini and choose the one they think will yield the best scientific results. This choice must then be supported in a 500-word essay. Teaming up is encouraged. Winners will participate in a teleconference with Cassini scientists. The contest is open to all students in the United States from grades 5-12, working alone or in groups of up to four students. The essays will be divided into three groups: grades 5-6, 7-8 and 9-12. All submissions must be students’ original work. Each student can submit only one entry. Deadline for Fall 2010 submissions is noon Pacific time (3 p.m. EDT) on Oct. 27, 2010. If you have questions about this contest, e-mail your inquiries to scientistforaday@jpl.nasa.gov.